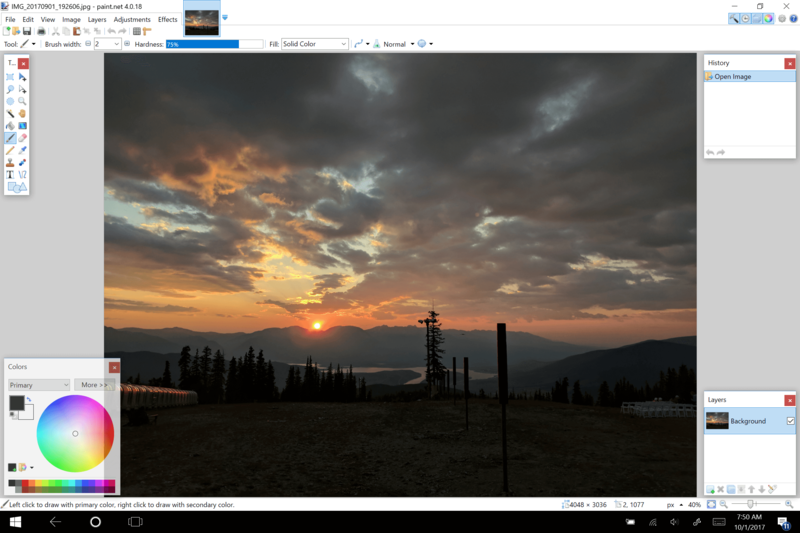 The ever popular photo editing app Paint.net has finally made its way to the Microsoft Store for Windows 10. The app will sell for $8.99 but right now has a special launch price of $5.99 along with a free 30-day trial for first time users. The updated version of Paint.net is build 4.0.18 for those keeping score at home and with it now in the Microsoft Store, you have automatic updating and overall stability improvements in Windows 10. 32-bit desktop app but has now moved to the Microsoft Store for native support within Windows 10. To this point the desktop version of the app has been free with donations being accepted for the app. With its move to the Microsoft Store, Paint.net will now have a charge associated with it to help offset the distribution costs and, frankly, to keep the developer funded to continue the work. It is well worth it folks. There is no indication on when the special promotional pricing on the app ends so if you want to pick it up, head over to the Microsoft Store and get it.